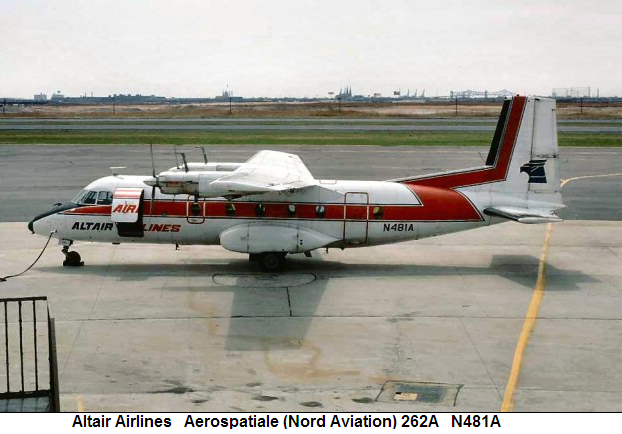 Altair Airlines was an airline based in Philadelphia, Pennsylvania, United States. It was in service from 1967 to 1982. 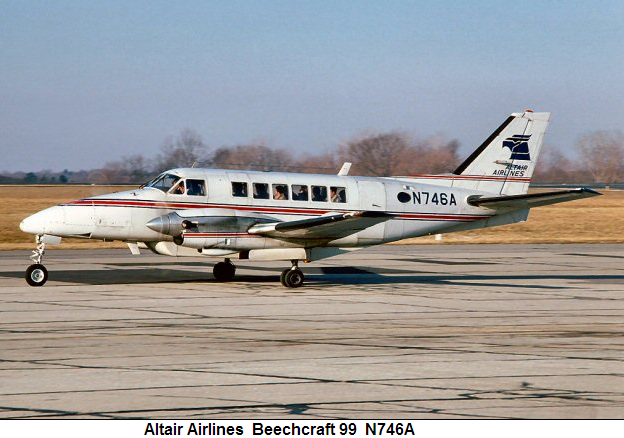 The airline was established in 1967 as a regional airline. In 1967, Altair's main shareholder was Tristram Colket and it had 587 employees. 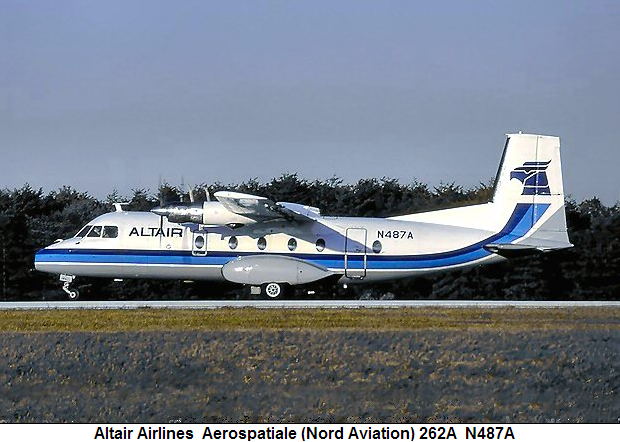 In May 1970, Altair Airlines was reported by the Civil Aeronautics Board to have the highest bumping rate. 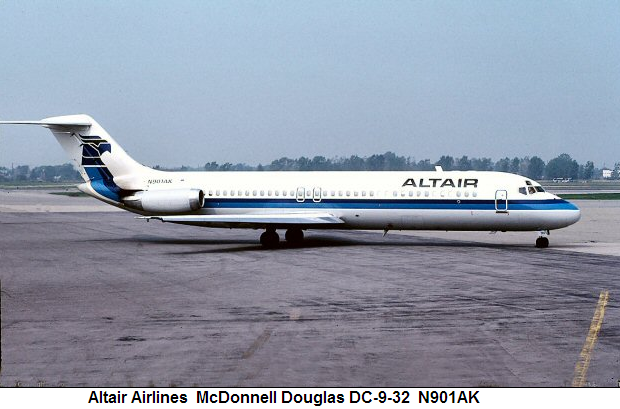 Altair attempted to return to profitability by expanding their services to new hubs along the East Coast and by taking on a fleet of DC-9 jets but profits never were able to outpace the debts incurred. 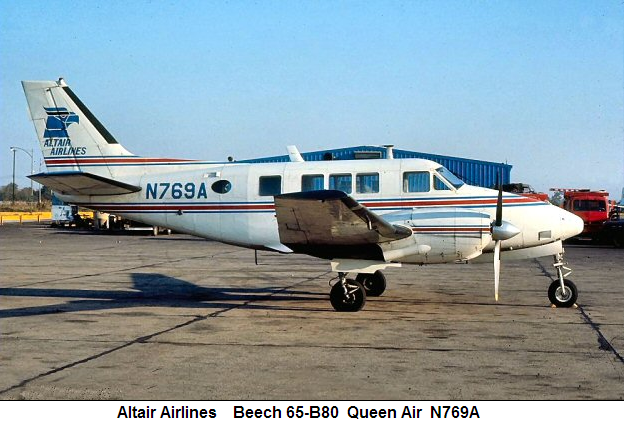 In November 1982, Altair owed more than one million dollars in jet fuel costs to Gulf Oil Corporation and, after a protracted period of negotiating, Gulf demanded immediate payment. Altair had little choice but to seek legal protection. 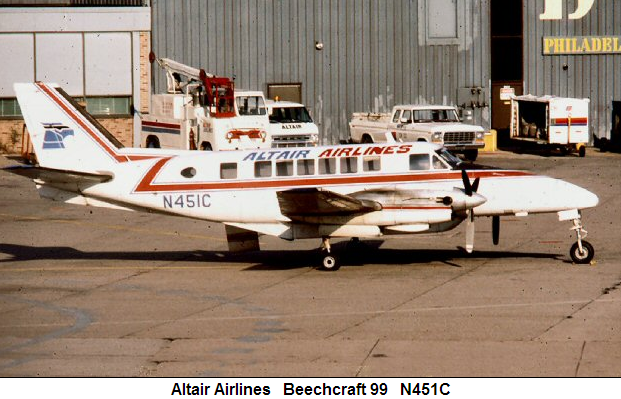 In 1982, Altair filed for bankruptcy due to its many debts. Its last president was Henry P. Hill. Many of Altair's dedicated employees found employment at other airlines with facilities at Philadelphia International Airport. 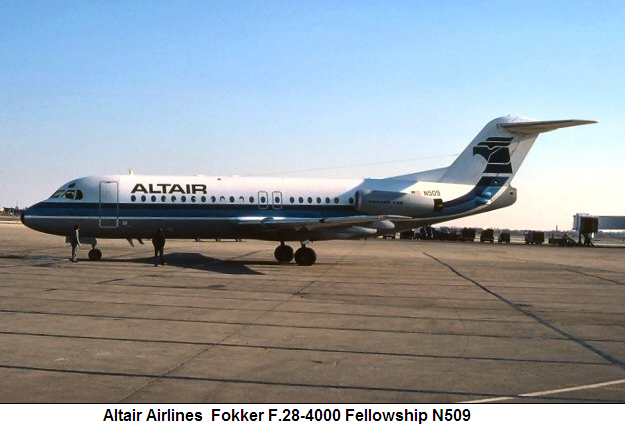 When it ceased operations in November 1982, Altair Airlines had a fleet of six Fokker F28-4000s and three McDonnell Douglas DC9-30s. A livery change was implemented by Altair in the early 1980s to more readily identify the line. Airport, Newark, NJ in April 1979, was formerly D-CIMB (and OY-BDL, I-SARL before that). U.S., the most notable customer being Lake Central. as far south as Raleigh, Greensboro and Charlotte, NC. this nice shot by Charlie Carroll taken in November 1980.
ember of 1982. ...............And then, as quickly as it had all started back in 1966, Altair was gone. were found for the bulk of them. The DC-9 above went back to Air Canada the following year.